Tomorrow, DiCaprio's auction which benefits his Foundation, will take place for the fifth year running. Last year's event, which is held in St. Tropez, raised $45 million for the Leonardo DiCaprio Foundation. This year's event will take place on July 26 and will feature works by 9 artists specially commissioned for the event. 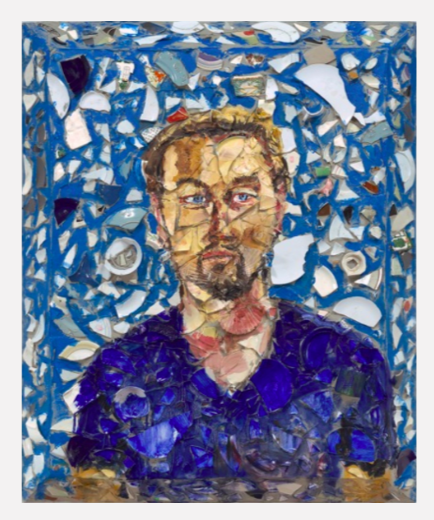 This year, the list of artists who have created works for DiCaprio's auction include: Julian Schnabel, Andrea Bowers, Adrian Ghenie, Max Hooper Schneider, Rashid Johnson, Sanya Kantarovsky, Ben Quilty, Yukimasa Ida and Camilo Restrep. Some works for the auction have been inspired by the Foundation's mission to conserve land and marine life, protect indigenous rights and combat climate change. The auction will feature works from ''$500 to $100 000'' DiCaprio's art adviser, Lisa Schiff, told The Art Newspaper. Artist Yukimasa Ida is the youngest artist to ever have been commissioned for the Leonardo DiCaprio Foundation auction. In August, the Japanese artist will begins his UK residence with a debut show in London in October.